Whiplash? Here Is What You Need To Know. I was just in an accident and I think I have whiplash. Should I wait until I feel a little better before seeking help? Depending on the severity of the accident, it may be necessary to be evaluated at a hospital or urgent care center immediately after an accident. The next step would be to be examined by an experienced chiropractor or physical therapist trained in the evaluation and treatment of cervical acceleration – deceleration injuries (CAD). The longer the amount of time waited after the incident, the more difficult the injury becomes to treat and the less chance you have of a complete recovery. Should I see a doctor even if I don’t have pain? It is best to have a health care professional evaluate you following any significant trauma. Many whiplash victims mistakenly think that a lack of initial pain after an accident means that they got lucky and avoided injury. This common misconception is often due to a combination of adrenaline (the pain deadening fight or flight hormone your body releases when it feels threatened), and delayed inflammation. It is incredibly common if not standard to not feel full onset of the pain an injury has caused initially, but it may present itself over the next few hours or days. Your clinician is able to recognize signs of damage even before the onset of pain by assessing levels of swelling, cognitive ability, bruising, joint fixation, and muscle spasm. If necessary, X-rays, CT scans, or an MRI may be ordered for further clarification on the state of your body’s internal structures. What symptoms should I look out for? Pain in the neck, back, shoulders, arms, and jaw (TMJ) are common in whiplash inducing events. You may also experience dizziness or vertigo. Other common symptoms are difficulty concentrating, muscle spasms, tenderness, stiffness, difficulty sleeping, and numbness and tingling. 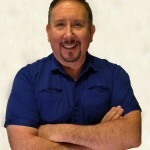 David M. Salse, DC Owner – Salse Chiropractic Center, Inc. A licensed chiropractic physician, David M. Salse, D.C. is a regionally recognized lecturer and speaker. He has presented extensively at seminars and workshops on the subject of optimal health and healing through natural chiropractic. His twenty-five years of clinical practice with over twenty-five thousand patients has provided him with extensive knowledge and experience in the field of chiropractic and manipulative therapy. Dr. Salse is a 1993 honors graduate of the Los Angeles College Of Chiropractic/Southern California University of Health Sciences. Prior to his post-graduate education, he attended California State Polythechnic University, Pomona where he graduated with a Bachelor’s degree in Biology. Beginning his career as a chemist, he provided his knowledge in the area of research and quality assurance for an international diagnostic reagents company. Although he had a promising and lucrative career in front of him, he decided to go back to school to fulfill his lifelong dream of helping others live a better life. It was an auto accident that introduced him to chiropractic. After experiencing tremendous relief, he decided to specialize as a chiropractic primary care physician. Since he began practicing, Dr. Salse has worked with the top national and international recognized leaders in his profession. He has traveled extensively across the nation attending many continuing educational classes, ensuring that his patients receive the most comprehensive and advanced chiropractic care. Each year, Dr. Salse donates his time to the community by giving free educational seminars to schools and businesses. If you would like Dr. Salse to speak at your next school function, work safety meeting, or social gathering, call our office to book an engagement.